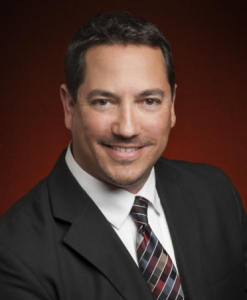 With nearly 15 years of transportation consulting experience in Tampa and throughout the State of Florida, Mr. Melendez will lead AREHNA’s continued efforts to develop business in the private and public sectors including commercial markets, local government and state projects, and the federal opportunities. Graduation from Florida State University with a Bachelors of Science degree in Biological Sciences led to work at Progress Environmental Lab (PEL) in Tampa. He then enrolled in University of South Florida’s College of Engineering and graduated as a proud USF Bull with a B.S. in Civil Engineering, concentrating on transportation and geotechnical engineering. While attending USF, he worked as a co-op student for Tampa Electric and TECO Peoples Gas. After graduation, Mr. Melendez began nearly a decade of transportation engineering consulting across the State of Florida and also in Texas and Maryland. In February of 2012, Mr. Melendez was appointed by the Governor of the State of Florida to the Hillsborough Area Regional Transit Authority (HART) Board where he was recently reappointed for a second term of two years. He also actively supports Alpha House of Tampa and serves on the Tampa Advisory Board of the James Madison Institute, a Florida-based public policy research organization. This entry was posted on Tuesday, July 30th, 2013 at 5:37 pm	and is filed under Announcements. You can follow any responses to this entry through the RSS 2.0 feed. Both comments and pings are currently closed.